What is it about St. Augustine that makes it a perfect city for romance? Is it the historic feel of the downtown district or the stunning beaches with clear sunsets? 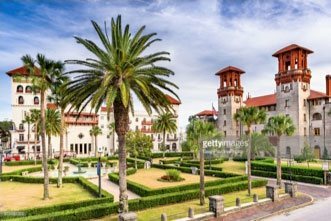 Maybe it’s the combination of Spanish, French, and English cultures, which together create a uniquely St. Augustine feel. This city is ideal for couples on a romantic getaway, honeymoon, or anniversary trip. Discover some of our favorite romantic things to do in St. Augustine. We’ve listed a couple of our favorite romantic things to do in St. Augustine but there’s so much more to enjoy! Access our free Vacation Guide for a full list of great attractions, historic sites, shops, restaurants, and art galleries in the Nation’s Oldest City. Our online Vacation Guide is accessible from any mobile device so you’ll always have it with you. Planning your trip is easy with our free Vacation Guide! There are plenty of fantastic St. Augustine carriage tours that will take you around this gorgeous city. It’s a great way to get to know the area a little better. While the public tours are fun, you’ll likely want a private tour for just you and your loved one. When you book your room at Agustin Inn, let us know that you would like to include a private tour to your reservation. This feature is just one of our many add-on attractions available! 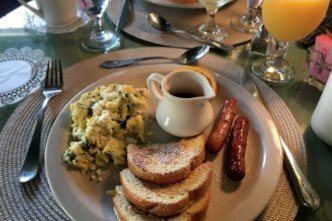 With so many eateries nearby, it can be hard to narrow down which are the most romantic restaurants in St. Augustine. Luckily, there are a couple great options just steps away from Agustin Inn. Visit Catch 27 for a taste of some locally-caught seafood or head to La Pentola Restaurant to indulge in some classic French and Italian cuisine. If you are a wine aficionado, reserve a table at Cellar 6 or Collage, both of which feature fantastic wine menus. Our city is famous for the “St. Augustine love trees,” or trees that have grown together so they are now entwined. There are at least seven love trees in the city, mainly in the downtown district. Simply St. Augustine has a great list of the trees as well as their location. However, it’s more fun to head out with your honey and find these trees for yourself! Which of these romantic things to do in St. Augustine is your favorite? 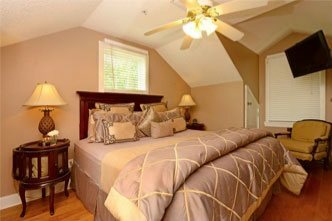 Book a room at Agustin Inn and discover them for yourself! 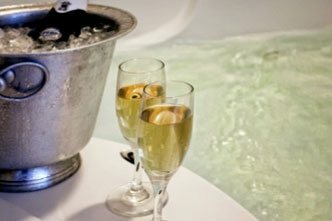 Add one of our fantastic specials and packages to your reservation to enhance the romantic mood. Book the Agustin Classic Romance Package, our most popular special. It includes a private horse and carriage ride from the inn, a half-dozen assorted roses, a half-dozen chocolate-covered strawberries, and a gift certificate to one of St. Augustine’s signature restaurants. If you’ve fallen in love with our gorgeous city, why not get eloped here? Check out our blog on tips on planning a St. Augustine elopement!